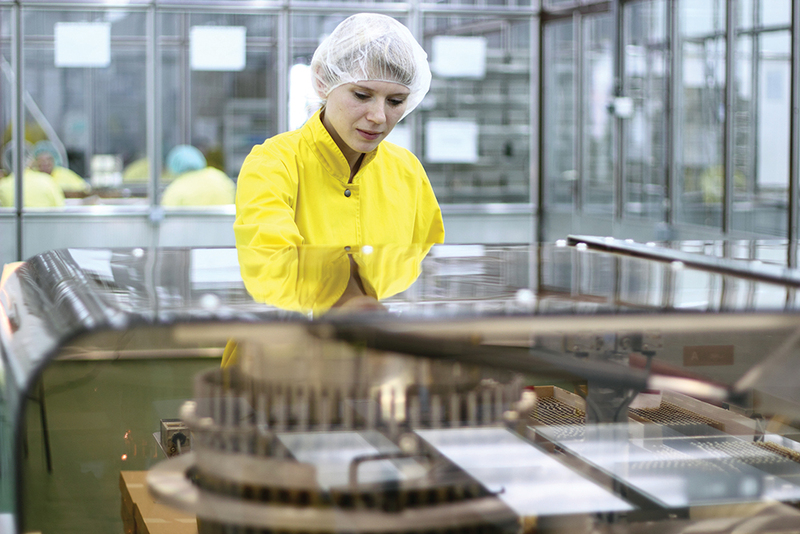 Designing better vaccines is the end goal for Calder Biosciences Inc., a company that has found a new way to engineer vaccines, ensuring greater stability, prolonging their duration in the body and thereby enhancing protection. Using a natural chemical reaction known as di-tyrosine (DT) crosslinking, Calder is creating safe and potent vaccines against viruses. Di-tyrosine (DT) crosslinking is a type of molecular bond that occurs in nature in materials such as silk, keratin in hair, and the exoskeletons of insects. Occurring when two tyrosine molecules – one of 20 amino acids that form the building blocks of proteins within cells – come together in close proximity and bond together, these bonds serve to increase the strength and elasticity of proteins. Calder Biosciences has figured out a way to use this chemistry to target di-tyrosine crosslinks within the structure of a protein, and thereby to strengthen and lock into place the protein structures of viral vaccines. This increases the stability and potency of antibody-antigen recognition and specificity. An antigen is a foreign protein, for example from a virus, which induces an immune response in the body. Vaccines are often made from inactivated forms of a virus or one of its surface proteins (antigens) that stimulate the body’s immune system to produce antibodies that neutralise the virus. ‘We optimise the potency of vaccines by introducing natural “molecular staples” into proteins that will be present on the surface of a virus – we thereby lock these proteins in their 3-D structures that most accurately represent the structure of the proteins on the surface of the virus,’ says Dr Chris Marshall, Calder’s founder and CEO. This approach, says Dr Marshall, has the potential to further the development of vaccines that are difficult to produce and can potentially eliminate the need for adjuvants – agents that are combined with vaccine formulations to enhance the immune response. Calder’s primary focus is on the development of a vaccine against the Respiratory Syncytial Virus (RSV), a common childhood infection, as well as a universal influenza vaccine. 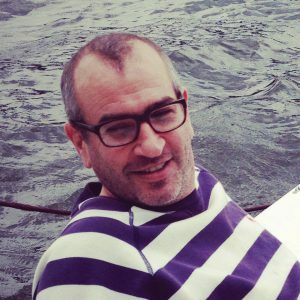 Calder’s research team, headed by Dr Marshall and Dr Mark Yondola, has now, together with their collaborators, successfully stabilised vaccines towards both of these viruses using their DT-crosslinking technology, and studies to further test them in animal models are now underway. Respiratory Syncytial Virus, or RSV, is a disease common in babies and young children. In the US, RSV infects nearly 100% of children within three years of life. In most children it passes as a common cold, but in those with immature immune systems, it can lead to a particular polarisation of the immune system, causing breathing problems throughout life: wheezing, asthma, and chronic obstructive pulmonary disease. For their first six months, infants are vulnerable due to the immaturity of their immune systems. RSV vaccines have been developed in the past. However, they present a problem in that if babies are vaccinated and then re-infected at a later date, their systems can react with an extreme response due to a phenomenon known as enhanced respiratory disease. There is no antiviral therapy or vaccine for RSV. The only currently approved protective therapy for RSV is the administration of an antibody therapy called Synagis, made by MedImmune/AstraZeneca. Due to its high cost, use of Synagis is limited only to premature infants and to infants less than 24 months old with underlying conditions. Elderly and immune-compromised adults are also at risk of significant RSV-related illness and mortality. It is evident that an effective and safe RSV vaccine is urgently needed. When the RSV virus encounters a target cell, it fuses its membrane with that of the cell membrane, and thereby infects the cell. This fusion is mediated by the spring-loaded and metastable viral fusion protein, the F protein, which triggers when it encounters a target, and undergoes a major change in shape in order to infect the cell. When pre-fusion (preF) and post-fusion (postF) structures of the F protein were compared using an imaging technique called x-ray crystallography, it was revealed that preF is the form that best binds to – and that will cause the immune system to make – protective neutralising antibodies. However, preF suffers significant instability. Other research groups have attempted to design preF vaccines in the past using alternate engineering techniques. However, these vaccines have continued to lack the stability needed to make a successful RSV vaccine. After engineering a number of DT-crosslinked preF designs, Drs Marshall and Yondola and their team, together with their collaborators and advisors’ Drs Jason McLellan of the University of Texas, Austin, Barney Graham of the National Institute of Allergy and Infectious Disease and Barry Buckland of BiologicB consulting group, screened a number of the designs. They found that DT-crosslinking stabilised preF and improved the ability of this vaccine to generate protective immune responses in mice and cotton rats. Having verified the potency, specificity and stability of their new DT-crosslinked RSV vaccine, the team is now testing formulations and strategies that will eliminate any chance of enhanced respiratory disease occurring in newborns. 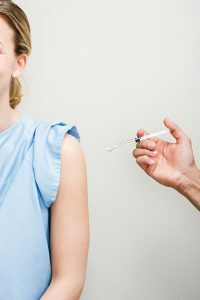 Because enhanced respiratory disease only ever occurs in children with immature immune systems, vaccinating mothers during pregnancy is believed to be the safest approach in protecting infants from RSV, allowing mothers to transfer their protective antibodies to the unborn foetus through the placenta and the mother’s milk. In collaboration with Dr Kerry Empey at the University of Pittsburgh, Calder has developed a maternal-to-infant vaccination mouse model that is able to elicit immune responses and pathology in mice that emulate many of the characteristics of enhanced RSV disease observed in humans. Using this model, Drs Marshall and Yondola and their team, together with the Empey lab, will test a number of formulations and identify the one that most effectively protects postpartum mothers, new-born pups and newly weaned mice following maternal vaccination, and which does not lead to enhanced respiratory disease in infant mice. Calder’s research team will then perform similar studies in cotton rats before initiating clinical trials. Influenza is one of the most dangerous human pathogens. Spreading around the world in yearly outbreaks, it results in about 3–5 million cases of severe illness every year, and tens of thousands of deaths in the US alone, with a cost burden of over $10 billion per year. It is estimated that a future pandemic could cause untold deaths and suffering, and hundreds of billions of dollars in direct and indirect costs. Vaccines are available but since the virus mutates from season to season, vaccines need to be reformulated every year. A vaccine that protects against all strains of influenza would provide an important safeguard against the threat of an outbreak of a pandemic influenza virus. Haemagglutinin (HA) is also a fusion protein found on the surface of influenza viruses. The HA protein is primarily responsible for inducing protective antibody responses. The structure of all HA molecules is comprised of a stalk and a globular head. The stalk is highly similar across strains, and most antibodies that protect against all strains of influenza target the molecular groups of HA’s stalk. The globular head, however, varies from season to season, and further presents a barrier to vaccine design in that it prevents the immune system from reacting to the stalk. Therefore, the development of a stable ‘Headless HA’ as an agent capable of stimulating an immune response that protects against all strains of influenza has been a major goal of the researchers for decades, but so far it has been impossible to design a Headless HA that assumes the native stalk conformation with sufficient stability. In designing a stable Headless HA, Dr Marshall’s and Yondola’s team first locked the conserved stalk of HA in its native conformation by introducing DT-crosslinks that were targeted to the stalk of a complete HA protein. Then, once the stalk was stabilised with the DT bonds, the researchers removed the globular head using engineered cleavage sites. The resulting vaccine is a ‘DT-Headless HA’. In preliminary data, the scientists showed that Calder’s engineered influenza vaccine, DT-Headless HA, presents the stalk in its fully native conformation. They predict that its stability will also prolong the period that the protein holds its native conformation in the body, giving it enough time to teach the immune system to generate strong immune responses that protect against all influenza pathogens. Going forward, Calder’s research team along, with Dr James Crowe of the Vanderbilt Vaccine Center, will test and verify the potency of their DT-Headless HA vaccine in mice and ferrets, before initiating clinical trials. DT-crosslinking provides a promising platform to overcome obstacles associated with the design of many vaccines. Comprised of a world-class research team made up of experts in vaccine design, Calder Biosciences is currently focused on protective solutions for RSV and influenza, however, this technology has the potential to be transferred to other difficult-to-design vaccines such as HIV, Dengue Fever and Herpes Simplex Virus. If so, it could save countless lives and give those afflicted and their families hope for the future. 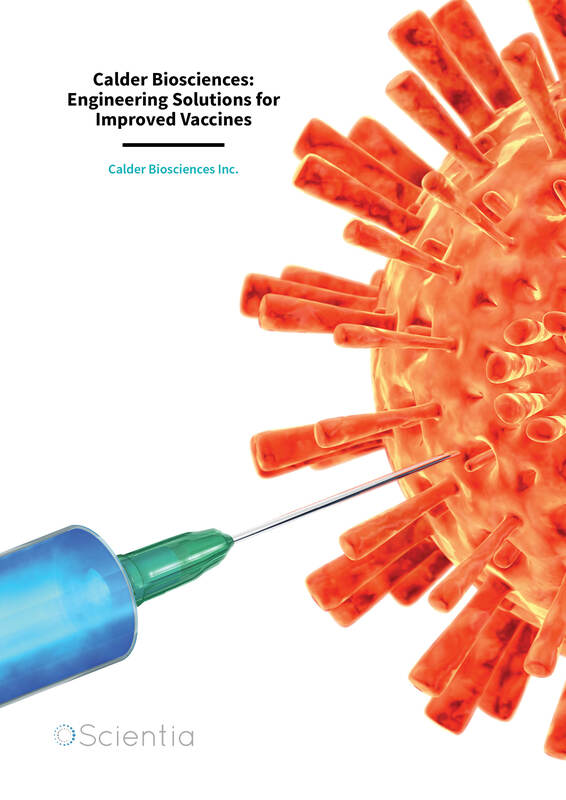 Calder Biosciences Inc. is a molecular engineering company that aims to solve common vaccine design obstacles, using a unique approach based on the introduction of targeted di-tyrosine (DT) crosslinks. 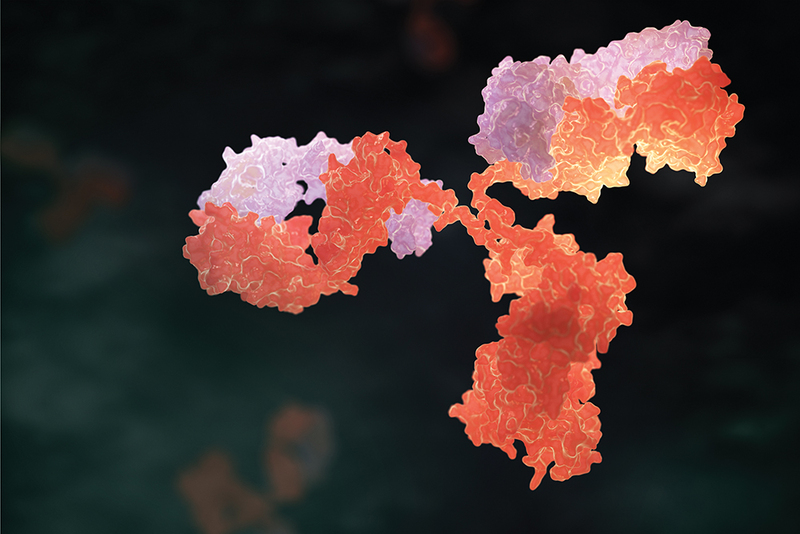 DT-crosslinking technology locks key viral proteins in place to elicit the most protective antibody response while improving vaccine thermostability and shelf life. Headed by CEO Chris Marshall, PhD, a New York-based researcher and entrepreneur, Calder has verified the design of both a DT-crosslinked Respiratory Syncytial Virus (RSV) and a universal influenza vaccine.